In ancient times the verger was the Protector of the Procession. The verger was the first person in the procession that “cleared” the way as the procession made its way to the altar. Today’s vergers are laypersons who serve the church in a welcoming ministry. 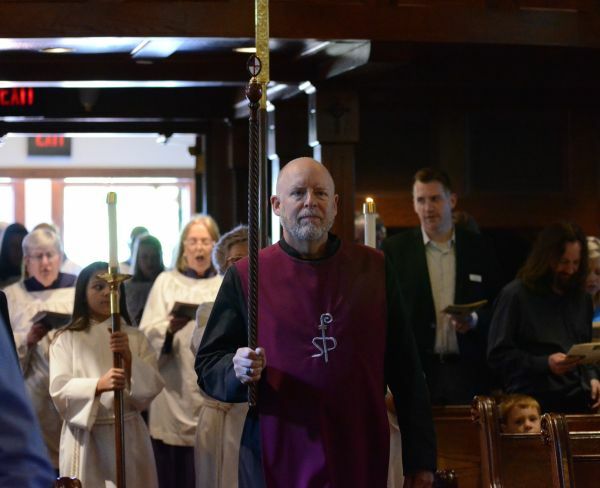 n addition to organizing and leading the procession vergers are especially helpful assisting visiting clergy or with special services. Tasks are assigned by the Dean as the primary duty of the verger is to assist the clergy prior to the liturgy. For more information contact Jeff Erwin.